Washington D.C. (December 5, 2014) – Today, President Obama announced Ashton Carter as his nominee for Secretary of the Department of Defense (DoD). Iraq and Afghanistan Veterans of America (IAVA), the largest nonprofit, nonpartisan organization representing post-9/11 veterans and families, welcomed the nomination. Paul Rieckhoff, IAVA CEO and Founder, was at the White House today for the announcement at the invitation of the President. “IAVA congratulates Ashton Carter on his nomination as Defense Secretary,” said Rieckhoff. “Carter has proven to be an advocate for both active-duty servicemembers and veterans. With his breadth of experience at the Pentagon, we trust that Carter is prepared to meet the unique demands of today’s national security challenges. Since the beginning of 2014 IAVA has been calling on DoD, Congress, the White House and the Department of Veterans Affairs to address the veteran suicide crisis. IAVA veteran members delivered a petition to Majority Leader Harry Reid (D-Nev.) yesterday calling on him to bring the Clay Hunt Suicide Prevention Bill to the Senate floor before Congress adjourns next week. The bill, named after Iraq and Afghanistan war veteran Clay Hunt, a Marine who died by suicide in 2011, will help combat veteran suicide and improve access to quality mental health care. Hunt’s mother, Susan Selke, recently met with DoD officials to press for veteran mental health care reforms and to garner their support of the Clay Hunt bill. 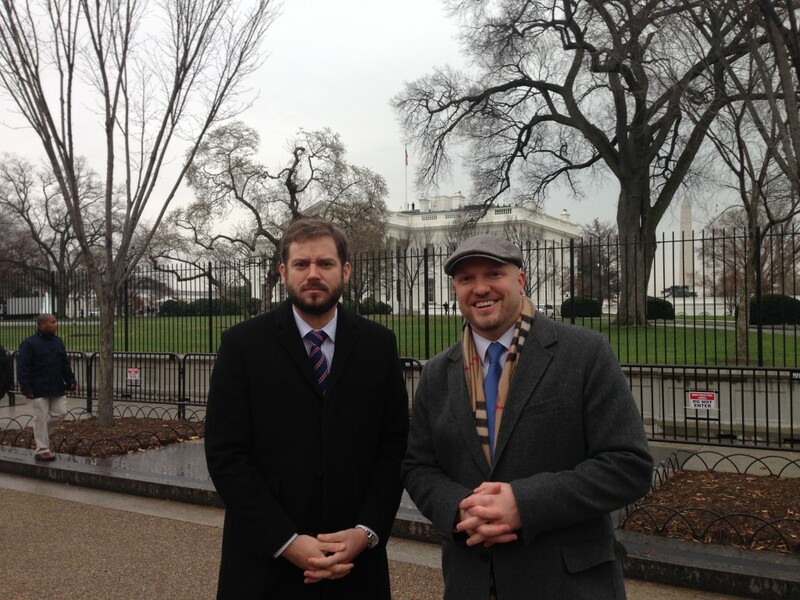 IAVA’s Founder and CEO Paul Rieckhoff (right) and Political Director Bill Rausch (left) visit the White House for the President’s announcement of new Defense Secretary Ashton Carter.